For well over a year now, ever since I decided not to go back to my pre-baby job, I‘ve been working as a freelancer. It has been, for the most part, brilliant. I have work-life balance for the first time in my career, get to be my own boss, love what I do and spend lots of time with my daughter. With occasional forays into an office, I mainly work from home on the two days that Eliza goes to nursery. It works for us and everyone’s happy. Everything I read about working from home mentions the brilliance of being able stay in your pyjamas. However; need to drop your child off at nursery first? You’ll definitely have to put some proper clothes on. And it’s pointless changing back into them when you’ll need to go out to get them a few hours later. 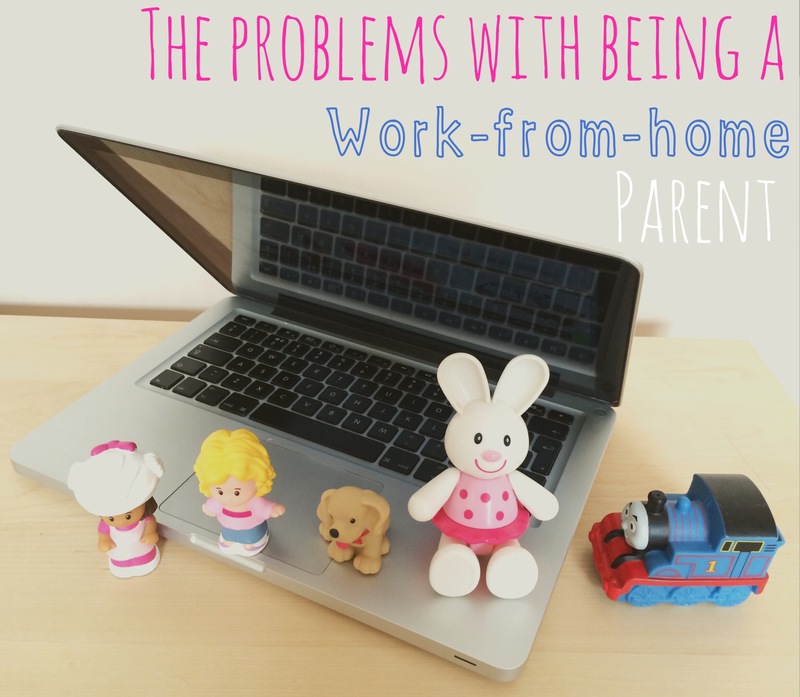 stay at home, but I’m not a stay-at-home mum (for some of the week) Where do I fit? As my desk is the kitchen table, I often find crayoning in my work notebook, glitter on the laptop, and an assortment of plastic play figures in my paperwork. OK, so I jest (slightly). In all seriousness, not going back to my old job is the best decision I ever made. Are you thinking about it? Do it! So true, you become the local Parcelforce depot. You even recognise the dude delivering the parcels. You also develop an absolute hatred of junk leafleting and start chasing them down the street to give them back, or opening the door just before they shove them through and screeching ‘NO! NEVER!’. So true about the parcels!! A perk though in my case as a random neighbour actually bought me a bottle of wine as a thank you for taking so much stuff in for him! I agree with Jess I am finding it hard at the moment as well – when the little man was younger it was find but now he is 3.5 years and very demanding of time, which he should be, but if your trying to work to make an income it can be hard to juggle, especially when he only goes to nursery two mornings a week. I’m normally one of those office types, but do work from home one day a week at the moment. 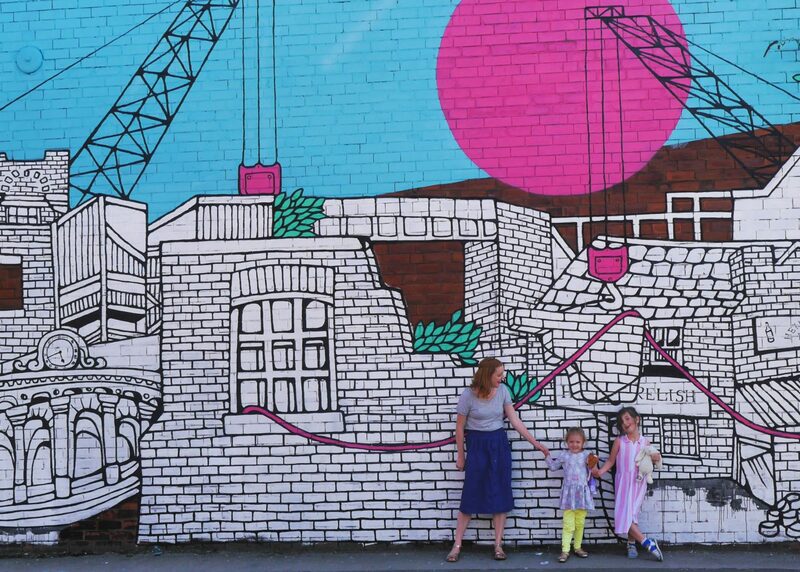 I love having the opportunity to do it because I can do silly little things like the school run, but my biggest challenge is not snacking during the day. It’s so easy to grab a biscuit (or two, or three) from the tin… and that’s just in the morning! some of these definitely apply without children too 🙂 glad you’re happy about the decision you made though! Haha there is ALWAYS crayon/chalk/massive pen scribbles in my work book, it’s so annoying! YES to all of this! I especially find classifying myself a problem – neither of the boys is in nursery, so I take in enough work to manage during naptime. But then I feel all presumptuous saying I ‘work from home’, because it is work, but how many people would kill to work just an hour a day? Juggling it is hard. You lose all boundaries when you step out of an office.